The Brazilian Corporate Volunteer Council (CBVE) signed an innovative partnership with the United Nations Volunteers (UNV) programme in Brazil, with the objective to mobilize the private sector and its resources to go beyond corporate volunteering. The Brazilian Corporate Volunteer Council (CBVE) signed an innovative partnership with the United Nations Volunteers (UNV) programme in Brazil, with the objective to collaborate for the achievement of the Sustainable Development Goals by mobilizing the commitment, solidarity and civic engagement that is unique to volunteerism. CBVE, a network that brings together companies, confederations, institutes and business foundations, pursues the promotion and development of corporate volunteering both within and outside Brazil, providing a collective networking and dialogue space for its members. With this partnership, CBVE is committed to mobilizing the private sector and its resources to go beyond corporate volunteering. It will seek volunteer support to United Nations projects, aim to develop knowledge, monitor social investment by companies that encourage mobilization into civil society volunteer programmes, and monitor the contribution of volunteerism to the achievement of the SDGs. "This partnership is crucial because the vast majority of entities associated with CBVE already expresses their commitment to the SDGs, and we, volunteer managers, in partnership with UNV, will be contributing to advancing the goals," said Lilian Paparella, Steering Committee member of CBVE and representative of Itaipu Binacional, one of the companies integrating the network. 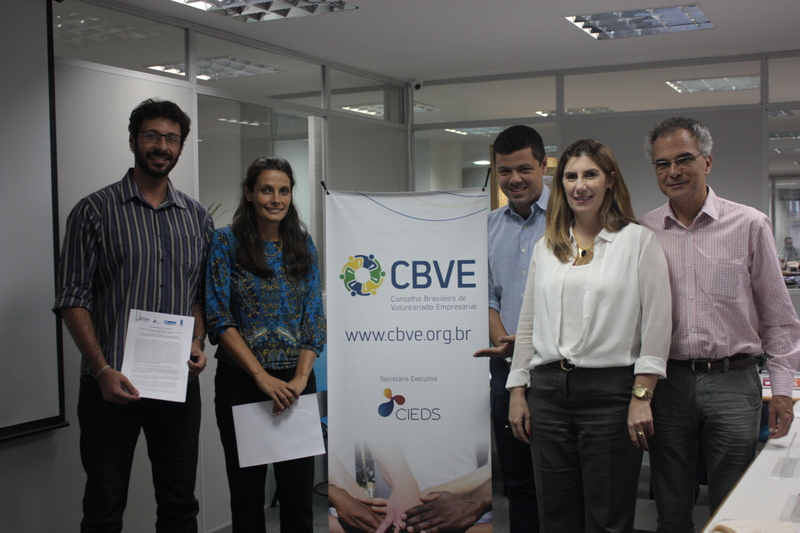 CBVE and UNV agree to work together in the coordination of efforts to promote corporate volunteering in Brazil, to mobilize resources for projects and activities aimed at strengthening corporate volunteering, and to promote private sector participation in efforts to achieve the SDGs in Brazil and elsewhere in the world. Volunteers can provide technical support and enhance capacity in all thematic goal areas. They deliver basic services, help transfer skills and foster exchanges of good practices, and add valuable international and local expertise through domestic, South-South, South-North and North-South exchanges. Corporate volunteers can play a particular role in this regard by making their expertise available to public institutions as well as to fragile communities.